Getting your engine overhauled can be the most viable option at times. An engine rebuild is quite common in relatively older engines. But the question remains; when exactly do you need an engine overhaul? 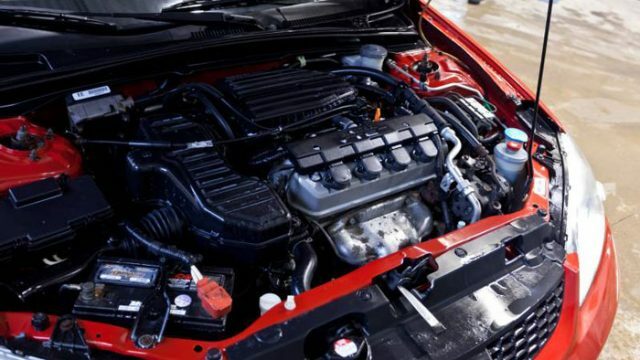 Following are 5 symptoms you need to be aware off before overhauling your engine. Engine knocking sounds can be really annoying at times. Adding to the cabin noise, the knocking sound can actually discomfort your entire road journey. It does not necessarily mean that you need to overhaul your engine. Knocking can also be a result of bad engine mount or low-quality fuel. But in performance engines, knocking is a clear symptom that it’s the time to get your engine swapped or overhauled. However, if not addressed timely, knocking can damage different engine parts adding up the cost of repair and maintenance. Smoke pipes being at the tail of the car generally remain neglected when it comes to repair and maintenance or vehicle inspection. The tailpipe emissions are very meaningful at times. Excessive smoke, blue or black toxic smoke are the most common symptoms of a malfunctioned engine. Tailpipe smoke can be common in cold startup but if the smoke doesn’t go away even after your engine has turned to normal temperature, there is definitely a problem with your core engine. The burning of engine oil is a key symptom of a malfunctioned engine. Some engines do burn oil, but if you feel like your engine oil is getting drained too quickly, you surely need to get your engine inspected and overhauled. Most importantly, if you see the engine oil check light illuminated on your dashboard: your car might be burning excessive engine oil. But before you go to the mechanic for oil burning problem, make sure you are using the right engine lubricant suited for your climate conditions. Lack of compression can be quite meaningful if you have faced problems with your car’s engine before. If you have ever felt that your engine is misfiring upon acceleration, this may be a symptom that your car needs an urgent engine rebuilt. With newer engines, loss of compression represents bad spark plugs or bad fuel injector. But with older engines, lack of compression represents excessive wear and tear. In case you feel a loss of compression while accelerating your car, make sure to get it inspected as soon as possible. Too much fuel consumption can also be one of the symptoms of a worn out engine. But it also important to mention that excessive fuel consumption does not necessarily mean that your engine is malfunctioned. Too much fuel consumption can also be a result of poor quality fuel, vigorous acceleration, bad fuel pump, leakages, chocked throttle body, chocked air filter and etc. But it is generally believed that engines that blow out blue or black smoke and consume too much fuel are prime candidates for overhauling process. If you have ever had one or more of these symptoms with your car’s engine it is better to get your car thoroughly inspected before you think of going for an engine rebuild. Overlooking these symptoms will cost you a lot more in the long run.